What’s the Top 10 Deterrents for Burglars? According to a latest survey by the Co-op Insurance who interviewed 12 former burglars, CCTV cameras were the number one deterrent to breaking into a property. Most people would assume that burglar alarms were up at the top, but apparently not. The second deterrent on the list was a barking dog. Barking dogs are off-putting to many people including posties and paperboys and girls, but who knew about burglars? Police figures show that domestic burglary in England and Wales has gone up by 32% in the last 12 months, which is pretty shocking. Yet 28% of households took no measures to protect their home from burglary. There are some simple things that home owners can do to reduce the risk of a break-in. For example, don’t brag on social media about the holiday that you are on or are going on. Apparently, burglars can find this information very quickly and use it to their advantage. The cost of a burglary financially is high and could have an effect on your insurance cover going forward if crime is high in the area. But the emotional toll is also high. Common initial reactions to burglary include panic, shock and crying, with insecurity and anxiety about being alone in the home persisting longer. But don’t worry that you are being targeted for a reason, most burglaries are opportunistic. Even the Queen has been a victim of a burglary and she has high security in place as you can imagine. Make a burglar think twice about breaking into your property by implementing a few of these deterrents. It will be worth it. 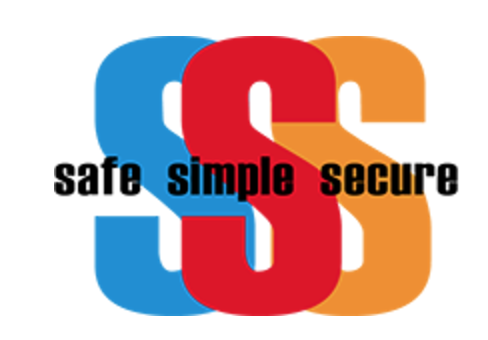 Safe Simple Secure is a home and commercial security company in Edinburgh. Their range of home and business security systems include burglar alarms, CCTV systems, fire detectors and smoke alarm systems, access control systems, door entry systems, outdoor security lighting and much more. They are fully-qualified SSAIB registered installers which means that they must adhere to all the latest European security regulations.